These high-impact SMEs have the potential to magnify demographic dividend, catalyze social change from the grassroots and expedite the region’s development agenda. However, despite the pivotal role SMEs play in economic growth and poverty alleviation, they are often overlooked as credible borrowers under conventional sources of financing. Small loan requirements, lack of credit history and higher perceived risk are have created systemic barriers for SMEs to qualify for loans from traditional financial institutions. These issues are further magnified for women entrepreneurs, who tend to face even further scrutiny and deeper structure impediments that severely impair their access to capital. 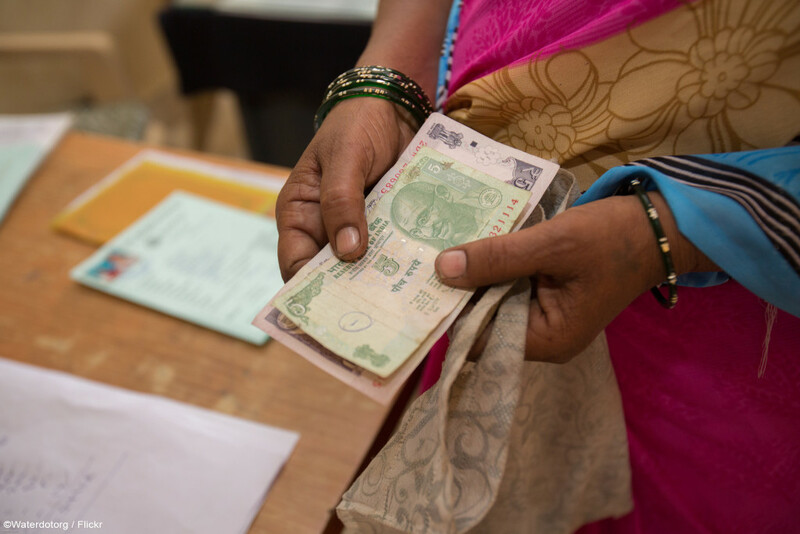 While microfinance has been a powerful tool to encourage lending towards women, once they graduate towards a need for larger capital amounts, their lack of collateral hinders them from transitioning from micro-entrepreneurs to SMEs. This not only disadvantages women, but also undermines an economy’s ability to reach its full potential. With the SME funding gap persisting, the role of crowdfunding has evolved from initial donation and a rewards-based model towards a credible source of funding to address debt and equity needs of Micro-enterprises and SMEs. While there are a growing number of crowdfunding models that issue debt, those targeting smaller enterprises are limited. Even more so, they tend to service the United States and Europe, leaving out high-growth regions in Asia. The crowdfunding market can be segmented across a spectrum. On one end, a saturated market targets commercially focused entities that generate financial return to lenders. Two platforms that have gained significant traction include On Deck, based in the US, and Funding Circle from the UK. Within the ASEAN region, however, there are fewer options as the market is still nascent. Singapore has seen a recent pickup of debt-lending platforms such as CapitalMatch and MoolahSense that are peer-to-enterprise funding platforms enabling local SMEs to borrow from a local pool of lenders. On the other end, although sparse in comparison, there are donation-based platforms that support social causes. For example, Kiva based in the US, is dedicated to supporting socially focused activities. At Kiva, lenders can sign up and make small loans of $25 or higher to beneficiaries in developing countries. The lenders do not make any interest and sometimes reinvest their money upon being paid back. Milaap, another peer-to-peer lender similar to Kiva, is headquartered in Singapore and India. Milaap pools loans from lenders and returns the money over time. These socially impactful platforms are used for smaller loans, typically a few hundred dollars and there is no return on the investment. However, there remains a dearth of platforms that focus on supporting SMEs that have a social impact and at the same time generate a financial return – thereby ensuring both depth of impact and sustainability over the long term. IIX intends to address this gap, in line with our goal to mobilize capital for social good. To this end, IIX intends to launch Impact Credit, a debt-lending platform that will enable ASEAN-based SMEs to raise capital from the general public. 1. Focus on SMEs that can create tangible social or environmental impact alongside financial returns, thereby straddling the two ends of the spectrum between pure donation-based platforms and commercial platforms. 2. Linking the credit rating of the enterprises with their ability to create positive impact and offering a lower interest rate to entities with higher impact to positively incentivize entities to magnify their impact. 3. Prioritizing women micro-entrepreneurs and women-focused SMEs to provide them with access to capital required to scale their businesses. Thus, social focus and impact on women will be instilled into the end-to-end process of the platform, from screening enterprises, determining their risk ratings and through to loan disbursement. With Impact Credit, IIX will pave the way for women to create their own futures by helping them move up the value chain of social capital markets, while increasing the region’s socio-economic resilience.